FASS Faculty Member Ayşe Parla received an International Visiting Research Scholar Award from the Peter Wall Institute for Advanced Studies. 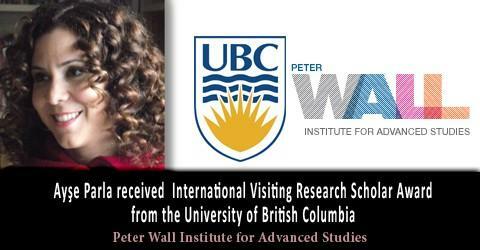 She will be continuing her research activities in University of British Columbia, Vancouver, Peter Wall Institute for Advanced Studies for 6 weeks during Summer 2014. We congratulate and wish her continiuous success.